It’s increasingly clear that consumers see no significant divide between digital and traditional media: what they want is more flexibility, freedom and convenience in when and how they consume their preferred content. 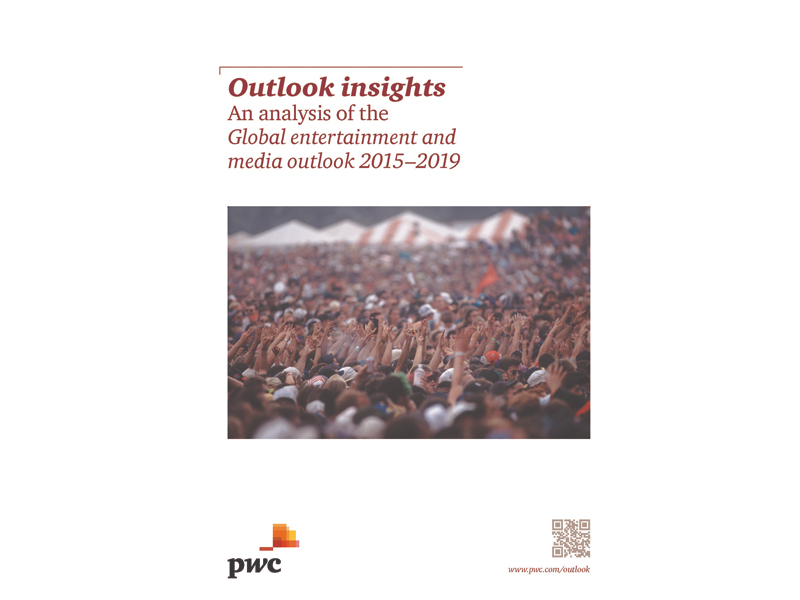 Total worldwide entertainment and media revenues will rise at a compound annual growth rate (CAGR) of 5.1% over the coming five years, from US$1.74trn in 2014 to US$2.23trn in 2019, according to PwC’s Global entertainment and media outlook 2015–2019. While the pace of industry growth will vary widely in different markets—with Japan seeing the slowest growth at a CAGR of 0.9%, and Nigeria the fastest at 15.1%—it’s apparent that when consumers around the world become connected their behaviour becomes more similar, subject to two differentiators. The first is the quality of the available infrastructure for consuming content. The second is consumers’ common desire for content experiences that are relevant to them personally – which is why, even in a globalised world, meeting local preferences remains critical. Overall, what’s emerging is an environment where consumers regard any distinction between ‘digital’ and ‘non-digital’ as irrelevant. Instead of favouring one or the other, they’ve taken on board the proliferation of content and access options enabled by digital, and are exploiting it to seek more flexibility and freedom—for which read ‘choice’—in what, when and how they consume. In making these choices, they’re migrating to offerings that combine relevance and convenience—attractive content, easy discovery, social community—with an inspiring, personalised experience, however it’s delivered. As a result, while global revenue from digital media will continue to exhibit stronger growth, non-digital media will still contribute well over 80% of global consumer revenues in 2019. A key feature of this multifaceted environment is the resilience—and in some cases resurgence—of aspects of ‘traditional’ media, including the shared, live experiences that consumers still love. Spending on live music ticket sales and cinema box office will rise at a combined global CAGR of 4.7% to 2019, outpacing overall consumer spending at 2.9%. In China, box office revenues will rise at a CAGR of 15.5%. Turning to advertising, total global advertising revenues will rise at a CAGR of 4.7% to 2019. Again there will be wide variations by territory, with Indonesia the fastest-growing ad market at a CAGR of 12.9% to 2019, and Greece the only one to decline at a CAGR of -0.3%. Like consumer revenues, advertising will see digital growth and non-digital resilience: while global digital advertising revenue will rise at a 12.2% CAGR against just 1.2% for non-digital advertising, non-digital will still contribute over 60% of global ad spend in 2019. That said, the clear direction of travel is toward digital—a fact underlined by Internet advertising’s position as the fastest-growing segment of advertising through to 2019, overtaking global broadcast TV advertising. By that year, digital advertising as a whole—including digital out-of-home—will account for 38.7% of total global advertising revenue, up from just 16.6% in 2010. A primary driver of digital advertising throughout the forecast period will be rapid rises in mobile and video Internet advertising. Mobile Internet advertising will surge at a 23.1% CAGR to 2019, overtaking display Internet advertising globally in 2018, and supplanting paid search in the US in 2016 as the leading Internet advertising category. And video advertising spend globally will rise at a CAGR of 19.5%, supported by a near-doubling of global smartphone connections to 3.85bn in 2019. As the Outlook also shows, several other trends will continue to reshape the global advertising landscape. One is the rapid expansion in over-the-top (OTT) video services—which are familiarising users with a video experience free from advertising, supporting a shift from ad-supported to subscription-based consumption. This will help to limit the US’s total broadcast TV advertising revenue to a CAGR of just 2.5% to 2019, while in a market such as Egypt, where OTT has gained less purchase, the CAGR will be 14.7%. And as viewers migrate from traditional networks to digital alternatives, advertisers will follow, driving broadcast TV advertising’s share of global total TV advertising down from 97.2% in 2014 to 94.3% in 2019. Alongside Internet advertising, digital out-of-home advertising (DOOH) will be another high-growth area, with revenues rising at a 13.2% CAGR. Given the high costs of upgrading OOH to digital formats, the most lucrative markets for DOOH advertising will be major cities. By 2019, the city-state of Singapore will see DOOH advertising account for 60.4% of total OOH advertising revenue, while exceptional growth in London will help DOOH’s share in the UK reach 53.7%. Looking across all segments and territories to 2019, overall global advertising revenues—rising at a 4.7% CAGR—will outpace consumer spending at a 2.9% CAGR. This means we’re presented with the prospect of a global entertainment and media industry that’s increasingly dependent on ad revenues. Significantly, the growth differential varies widely between countries, tending to be narrower in ‘mature’ markets and wider in ‘growth’ territories. For example, consumer and advertising revenues in the US will grow at CAGRs of 2.9% and 3.5%, respectively, while in Indonesia they’ll be 5.2% and 12.9%. The industry globally will need to keep a close eye on this divergence in its revenue streams. Underlying the trends in entertainment and media spending detailed in the Outlook is the migration by consumers worldwide to new ways of consuming content. One of the clearest shifts is in TV and video consumption, with consumers increasingly demanding high-quality original programming in a flexible, on-demand manner across numerous devices—thus enabling ‘binge viewing’ and greater convenience. OTT services offer the best outlet for this type of consumption, helping to explain why North American subscription TV penetration is forecast to fall from 79.8% in 2012 to 78.1% in 2016. A further shift toward social/casual gaming is underway, spending on which will exceed traditional gaming in nine markets by 2019, including India and South Africa. While territories with long-established console and PC game markets continue to be dominated by traditional gaming revenue, the global growth of social/casual gaming will create a US$22.52bn market by the end of the forecast period. Newspaper consumption is also changing, with consumers increasingly willing to pay for premium content. Online paywalls are now making up for newspapers’ lost print circulation revenues globally, with a wave of subscription offerings boosting newspapers’ digital circulation revenues to nearly US$2.5bn in 2014. In aggregate, as digital subscription revenues gain momentum globally and print subscriptions continue to shrink, total global newspaper circulation revenue is set to record year-on-year increases—a pattern that began in 2013. Summing up the implications of this year’s Outlook for companies, Marcel Fenez comments: “Against a background of shifting infrastructure and diverse local tastes, entertainment and media companies across the world need to embrace the consumption experience as their critical success factor. What matters is the ability to combine content with a user experience that’s differentiated and compelling on the consumer’s platform of choice. 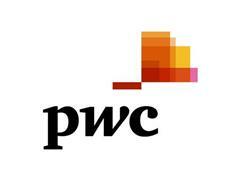 PwC helps organisations and individuals create the value they’re looking for. We’re a network of firms in 157 countries with more than 195,000 people who are committed to delivering quality in assurance, tax and advisory services. Find out more and tell us what matters to you by visiting us at www.pwc.com​.